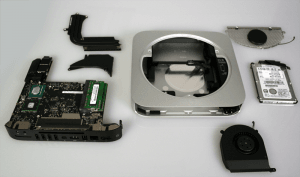 2012 Mac mini review, tear down, and benchmarks. Apple announced the 2012 Mac mini yesterday. The little powerhouse received a bump in processor speed, memory speed, memory size, and USB3 ports. 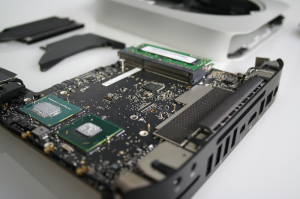 Our signup form lists the new models and our memory upgrades are the new higher-speed RAM. We received our first batch in already and have had some fun with them. Out of the box the new 2012 Mac mini is loaded with OS X 10.8.1 (Build 12B2080) and scored 7433 on geekbench. 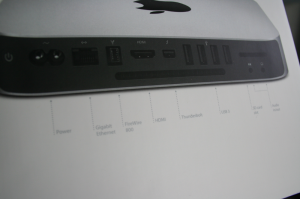 A 2011 Mac mini updated to OS X 10.8.2 scored 6583. UPDATE: OS X 10.8.2 for the 2012 hardware has a build # of 12C2034. 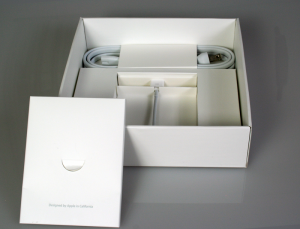 The overall packaging size was unchanged, however marketing specs have been updated and the inside organization has been optimized. We’ll begin testing our alternative OS options on the new hardware over the course of the next week. This includes Windows Server 2008, Windows Server 2012, CentOS 6, Debian 6, Ubuntu 12.04LTS, and we’ll also try to get OS X 10.6 running on them as we did with the 2011 Mac minis. Our VPN and WordPress scripts should also work and we’ll continue to develop exciting streamlined ways for people to use a Mac mini as a server. We offer a 6 month payment plan for those who want to get a mini online but reduce the initial up-front investment. 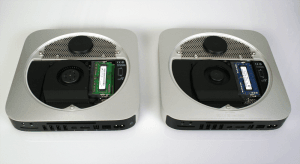 Let us know if you have any questions about placing a Mac mini in a data center – it’s a great low-cost service that gives great performance for web, file, email, game, CMS/CRM, VoIP, xcode, filemaker, etc (the list is never ending) hosting.